JetBlue appears to be gearing up to announce service between Europe and North America, according to a report from CNBC Tuesday afternoon. Shares of JetBlue rose as much as 4% in after-hours trading following the report, which said the airline has scheduled an all-hands meeting for Wednesday at New York’s John F. Kennedy International Airport. According to CNBC, the meeting invites featured design elements resembling London’s subway system and depictions of British landmarks such as Big Ben. Sources with knowledge of the announcement also confirmed to Business Insider that the meeting has been scheduled for 3 p.m. in New York. A JetBlue spokesperson told CNBC that routes to Europe could help the airline grow its focus cities of Boston and New York, “as we consider the best use of our aircraft from a margin perspective in those cities.” The company declined to confirm the new trans-Atlantic service to Business Insider. Flights to London or other European cities wouldn’t be JetBlue’s first international flights, but they would be some of the carrier’s longest. 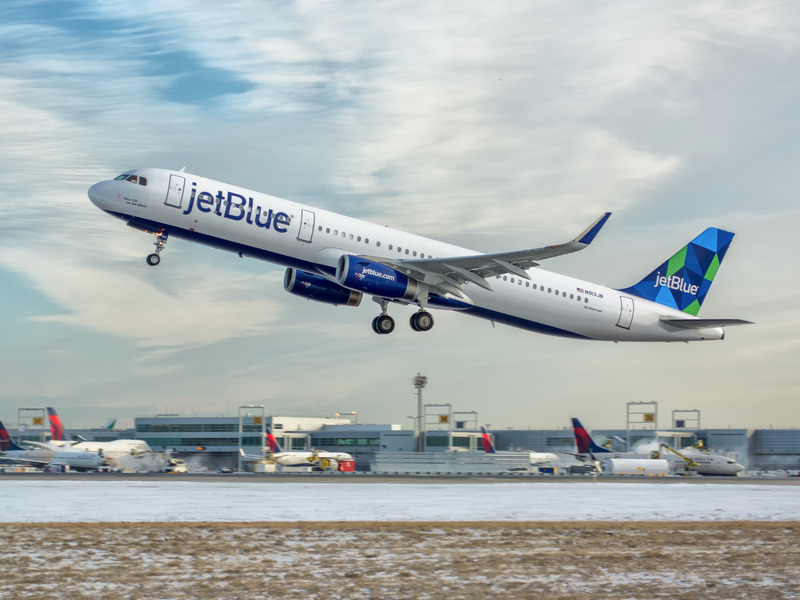 JetBlue serves 87 cities in 17 countries, including the US, Mexico, Costa Rica, Dominican Republic, and other destinations in the Caribbean, according to its website. Benjamin Zhang contributed to this story. Follow JetBlue’s stock price in real-time here. Do you work at JetBlue? Got a news tip? Get in touch with this reporter at [email protected] Secure contact methods are available here. Boeing to fix deadly 737 Max software, but is that enough for passengers?